The Z1 Truss segment was brought into space aboard Space Shuttle Discovery on STS-92 in October 2000 as the first part of the station's truss structure. While not being part of the ITS (integrated truss structure), it was holding the P6 SAW (solar array wing) until Assembly Mission 10A (STS-120). Z1 contains four CMGs (control moment gyroscope) for rotational stabilization of the space station, aswell as a S- and a Ku-Band antenna for space-to-ground communication. While the Z1 Truss segment does not provide any internal rack space, a small, pressurized dome is connected to its nadir berthing port, allowing the crew to connect data and power cables without an EVA, aswell as providing additional stowage space for rarely used equipment. The hatch is usually kept closed and the dome depressurized. The FWD-facing side of the exterior structure features a manually operated CBM-type port ("MBM", manual berthing mechanism). This port does not provide electrical nor air connection, and was only used once to hold PMA-2 during the installation of the "Destiny" module (LAB) on STS-98. Since the installation of S0 truss, the MBM is no longer accessible. 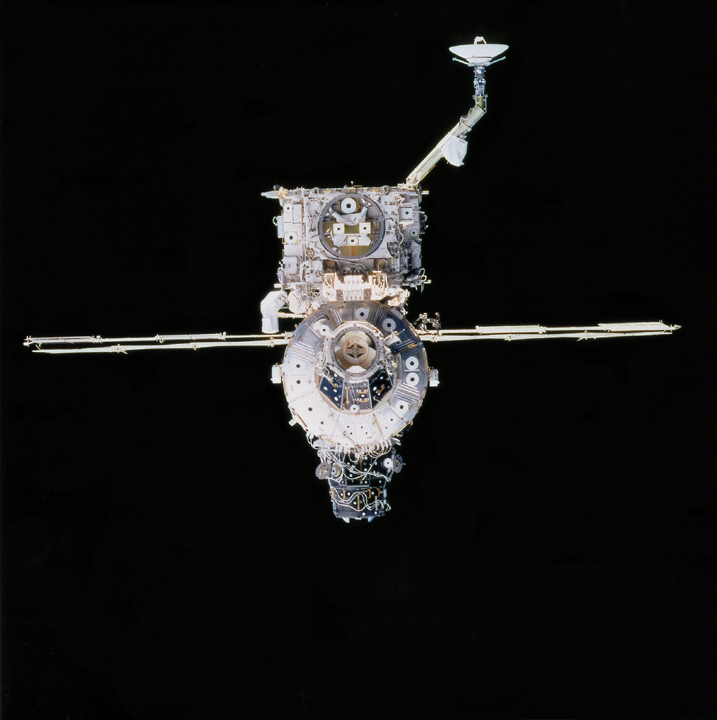 Z1 Truss berthed to the zenith side of the "Unity" Node (NOD1) after installation during STS-92.